UK: MHI Vestas will turn a former oil-fired power plant into a painting and logistics facility for its 80-metre V164 turbine blades. 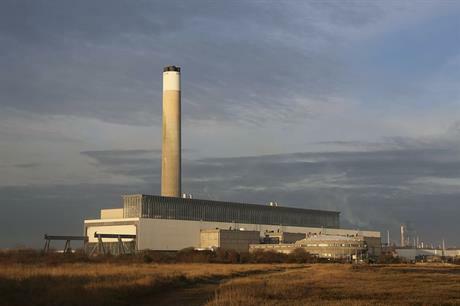 The repurposed Fawley Power Plant site in the south of England is expected to begin operations in April 2018, the manufacturer stated. The new facility on England's mainland across the strait from the Isle of Wight, where MHI Vestas manufactures the 80-metre blades for its V164 machines. The investment on England’s south coast is a direct result of "strong demand" for its V164 platform, the manufacturer said. The V164-9.5MW has recently been named as the preferred turbine for the 950MW Moray East wind farm off the east coast of Scotland, and for the 860MW Triton Knoll project off the east coast of England. Both projects won support in September's Contracts for Difference subsidy support auction. MHI Vestas CEO Jens Tommerup, said the falling cost of offshore wind following the UK’s second CfD auction had encouraged the manufacturer to "optimise (its) operations in every area". He added: "Our new paint and logistics shop at Fawley will improve our competitiveness worldwide and strengthen our UK industrial footprint." The announcement comes after the UK’s Department for Business, Energy and Industrial Strategy confirmed a third CfD auction, including offshore wind, in spring 2019. MHI Vestas said it "welcomed" the announcement. It also follows UK seabed landlord the Crown Estate announcing it would consider new leasing for offshore wind projects. After MHI Vestas’ announcement, energy minister Richard Harrington said: "This new facility is a further sign of the growth of the offshore wind sectore in the UK. "Our Industrial Strategy and Clean Growth Strategy set out the opportunities for Britain in moving from fossil fuels to a cleaner future. "This development is a fitting example as it reuses the site of a former oil-fired power station to produce parts for new clean wind farms." The expansion of Fawley Power Plant, which was permanently closed in 2013, is part of a wider regeneration project by the site’s owner, Fawley Waterside. The owner plans to create a "thriving new town" there, according to its website, and is currently carrying out a consultation on the area’s regeneration.